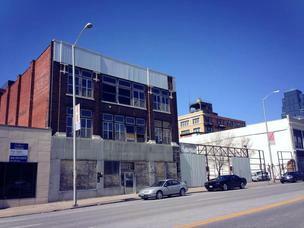 The Maxwell-Briscoe Garage at 1612 Grand has been purchased and will be converted into six residential lofts and commercial office space. The developer, Prairie Fire Development Group, will occupy the commercial space. It will be called MBG Lofts. The structure is already on the National Register for Historic Places. The building was originally a new auto showroom and service facilities for the Maxwell-Briscoe Motor Co., and it was built in the 1920s. The building already has some underground parking, and will have addition surface lot parking as well. Renovation should be completed late next summer. i am in complete awe that this one is actually happening. that block has been derelict for so long. Nice surface parking lot would have went well there. Oh well. Don't they know they should be afraid to develop downtown? It's nothing but a bunch of NIMBY's down there. For those who don't know, Maxwell-Briscoe was an early automobile brand that was later acquired by Chrysler. Not gonna lie, was really hoping for a drive through Subway. has this project stalled? no permits in almost a year. windows still boarded up. Appears that the proposed development has been put aside. Recently received an email offering the building for purchase. Believe they were asking $895,000. If you go to trulia.com and type in the zip code (64108), it's the second of third listing after adjusting for price. I wish I understood better why developments like this fail. It looks to me like a decent parcel. Mostly because it includes the lot next door which would be great for additional infill. Especially after Grand is narrowed to 3-lanes. smh wrote: I wish I understood better why developments like this fail. It looks to me like a decent parcel. Mostly because it includes the lot next door which would be great for additional infill. Especially after Grand is narrowed to 3-lanes. You purchase 1612 Grand and develop 18 apartments. Apply a conservative rental for these 18 units and you estimate $1,200 net rent per month from each of the 18. This provides $21,600 per month income. $2,400,000 financed at 6% for 20 years = $17,195 per month loan cost. This leaves you with $400 per month if everything goes right. Not much margin for error and a lot of work and risk for a return that your down payment could generate in a lot of other ways. This is why this building has not been sold. This a better office project than residential. The building is too small for residential...could only get maybe 10 units max. The lot north is actually the garage for the building. It has both surface on top and garage below connecting to the building. Granted modern day auto sizes would require a new alley entrance. I think Loftguy summed up the economics pretty well. Even is you layered Historic Tax Credits on the project (they are approved for HTCs) it's still a tight project. This building would probably be better developed as a small headquarters building where the company could afford to renovate it, and own it instead of worrying about rents covering all the related costs. After more than a decade, a redevelopment plan for 1612 Grand Blvd. 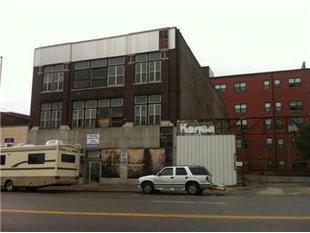 finally may remove an eyesore from the prominent commercial artery just south of Kansas City’s downtown loop. Kelley Hrabe, co-owner of Prairie Fire Development Group, said he expects to begin noticeable work within three months to turn the boarded-up historic building into offices for his company and other tenants. Views from the front of that building will be quite suburban. Last edited by pash on Mon Feb 13, 2017 9:17 pm, edited 1 time in total.